The Mule is a Cocktail Bar that is owned by Sarah Schneider Beauchamp and Russell Colmore which is soon to come to downtown Ellensburg. 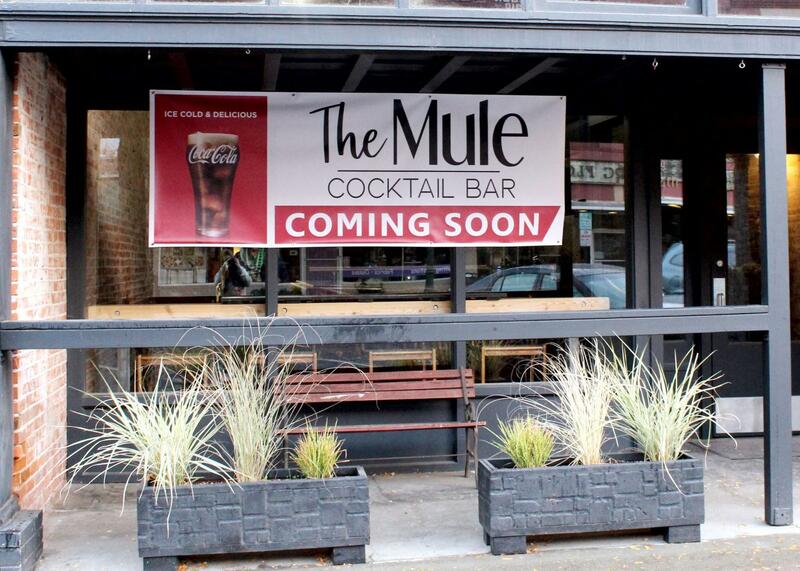 Ellensburg’s newest bar and eatery, The Mule, is set to open after the new year. If residents go on 4th Avenue they ’ll see the space where the bar will be located. The windows have been painted with big lettering that says “The Mule” and “Where Friends Gather,” which has caught the interest of people passing by. The restaurant is co-owned by Sarah Beauchamp and Russell Colmore, a couple who moved to Ellensburg to open The Mule. They fell in love with the town after their youngest daughter started attending CWU, according to Beauchamp. Colemore is a retired firefighter with over 33 years of cooking experience. He has most recently received training at Sizzleworks, located in Bellevue. Beauchamp’s has 20+ years of experience with hospitality, which includes being a server and high-end server for hotel VIP guests. The combination of hospitality and cooking experience led them to the decision to open a bar. The Mule is located in the historic Elmira building on 4th Avenue. The owners describe the bar as a “friendly gather spot for friends to enjoy a cocktail and grab a bite to eat.” It is a strictly 21-and-over establishment. Beauchamp and Colmore envision the bar will have a comfortable, relaxed atmosphere with a staff committed to customer service. Sarah Schneider Beauchamp and Russell Colmore stand at the bar of their soon-to-come Cocktail Bar: The Mule. 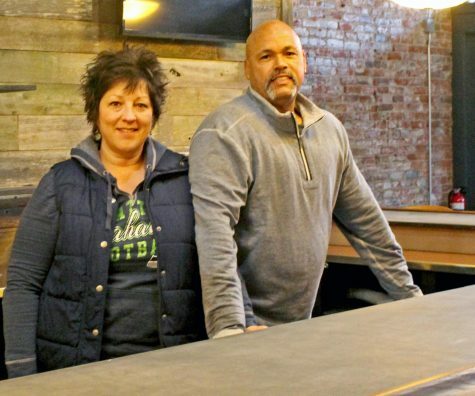 Their goal is to make The Mule a place where people can gather to “connect, recharge and enjoy a craft cocktail or special meal,” according to their website. Although The Mule is not a sports bar, there will be TVs which will play Seahawks games and other sporting events in both the bar and lounge area. The restaurant will have couches and tables in the lounge area at the back of the bar for comfortable seating. As the name of the bar suggests, The Mule’s signature cocktail is the Moscow Mule, which is a combination of vodka, ginger beer and lime served in a copper mug. The current drink menu includes six different varieties of the cocktail, each with a unique twist thanks to liquors infused with flavors such as jalapeño and cucumber, which they make in-house. The bar also offers pre-prohibition era drinks, like their whiskey sour which includes egg white for a smoother texture. Prices for their specialty mules are in the $8-10 range. Along with their standard drink menu, The Mule will also be offering seasonal specialties. The Mule boasts an extensive menu of different foods created by Colemore. When the couple received their lease in July, the space did not have a kitchen. The owners had to add one to the bar. Now that the kitchen is in place, The Mule is able to offer several different food options to its customers. The bar’s food menu is full of comfort food, including bacon mac and cheese, shepherd’s pie and a savory poutine. They also offer a variety of appetizers, salads, sandwiches, burgers and desserts, all ranging from $11-22 per menu item. The owners wanted to put their personal spin on classic southern comfort dishes while also offering fresh options to their customers. While there is no specific opening date yet, Beauchamp and Colemore are hopeful that The Mule will be opening in January. They are excited to offer Ellensburg a new gathering place where people can relax and get to know each other over homemade food and drinks.